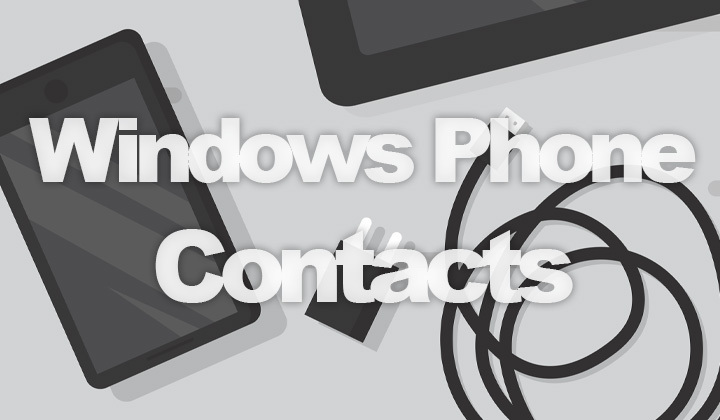 The usual way to migrate contacts from a Windows Phone to an iPhone is to sync your phonebook over a cloud, such as Outlook. But it didn’t work for me. This is my alternative solution to backing up and moving your contacts to iOS. Pretty much anywhere, including the official instructions from Microsoft — it says to go to settings in the “People” app, and simply add an outlook account which should automatically synchronize all your contacts. As the “Sync Contacts” is automatically turned on in your Outlook sync settings. This didn’t work for me however, and simply no contacts would show up in Outlook. I tried to update Windows Phone, restarting, etc. nothing worked. And even on the iOS end, it wouldn’t synchronize any phonebook entries from Outlook. Btw! The smartphone that had this problem was Microsoft Lumia 550. The idea is to backup contacts into a file first, and then upload them to iCloud which then syncs with your phone. But one problem was that the Windows Phone seems to like the CSV format, while Apple’s iOS devices use the vCard format. To export your phonebook into the vCard format, I found one app, called Qontact from the Microsoft Store. Which is free and can do this! Please note, this is only if you need to backup contacts once for moving them over to iPhone, etc. For automatic sync to work, I have no idea how to fix this issue. Step 2. Search and install the “Qontact” app. Step 3. Click the green “send” button. Step 4. Select all contacts. Step 5. Select the bottom menu with the horizontal ellipsis (more options icon that looks like three small dots). Step 7. Choose which email account to use (you need to have an email address set up on your phone). Step 8. Send the vCard by email to yourself. Step 9. Save the contents of the email into a file. Step 10. Login to iCloud. Step 11. Go to contacts and import the vCard file (check the wrench icon, at the bottom left corner). Now your iPhone or any other iOS device will automatically sync the phonebook contact entries if your Apple ID is set up properly. Enjoy! Update & note: Did this also with Lumia 930 and worked fine. The above solution may not work for you, and you may be required to purchase the paid version if you have too many contacts in your phonebook. Also, if your phonebook is just too messy and bloated, this can cause errors in the migration process, and so on. What I’ve done is used the “contacts backup” app to extract the contacts in a file which is in Excel spreadsheet format (xls). This format is easier to manually edit, and fix with Numbers on a Mac for example. Once you have a clearly formatted list of columns with all the contacts (name, number, email, address, etc), you can save it in CSV format. This can be then easily imported to the Contacts.app on macOS. From there if you export the contacts in vCard format it will surely work with iCloud. Good luck! Comments, questions about Windows Phone, backing up and moving contacts, or anything in between are welcome in the field below.